We can hardly keep books in our store, they sell so quickly! 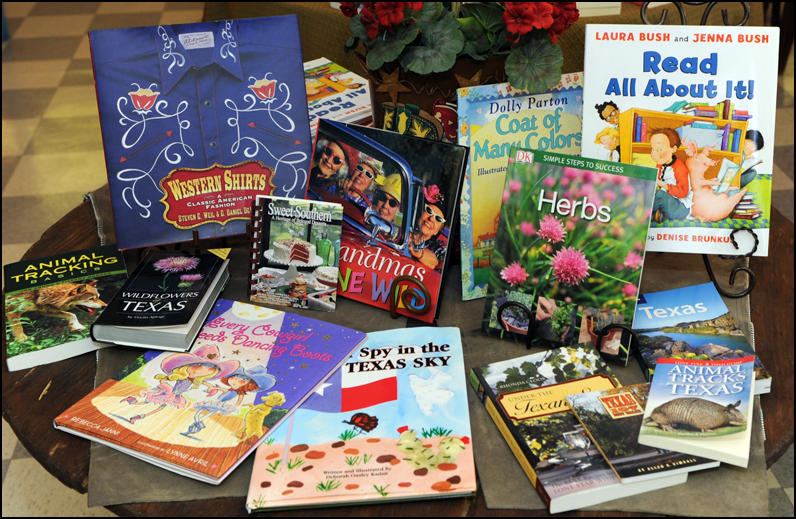 Specializing in books about Texas, regional cookbooks, and books for children, we love books not only for their literary value but also for added warmth when accessorizing a family home. Our customers also enjoy seeing the impressive number of books written by local authors. One book, “Seven Days in Utopia” by local author Dr. David Cook, has been made into a major motion picture starring Robert Duvall; another, “The Color of Lightning” by resident Paulette Jiles, is currently being converted into a screenplay by Larry McMurtry. We’re the best place to find “Stone Artifacts of Texas Indians” by renowned expert Dr. Thomas Hester, also a Utopia resident, and three of our talented local ladies have produced delightful books for children.